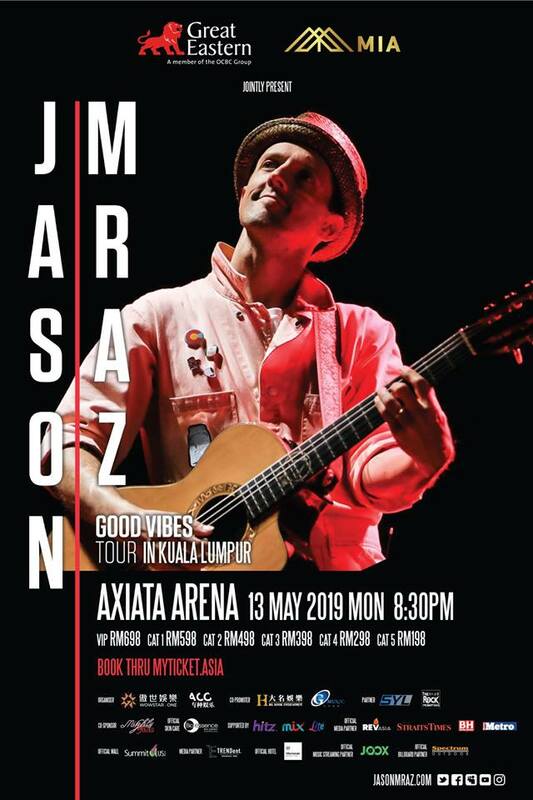 Multiple GRAMMY® Award winner JASON MRAZ will be bringing his Good Vibes Tour to Malaysia, on 13 May (Monday), 8.30pm at Axiata Arena. Jason Mraz first performed in Malaysia in 2009, followed by Tour Is A Four Letter Word in 2012. 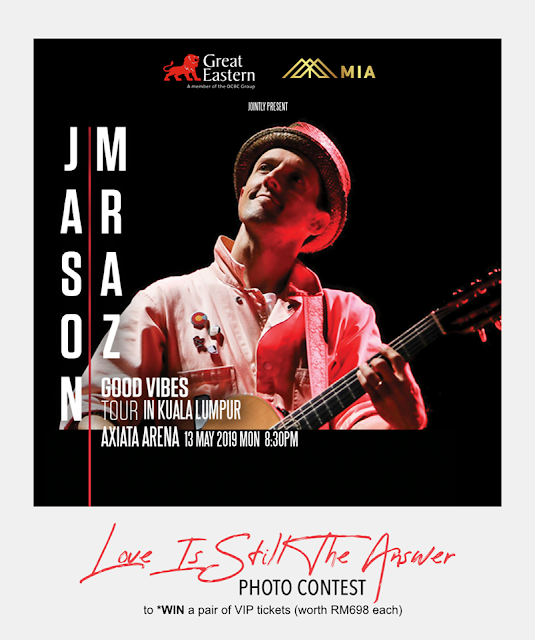 On playing for his Asian fans, Jason says: “I enjoy travelling to and performing for listeners in Asia. 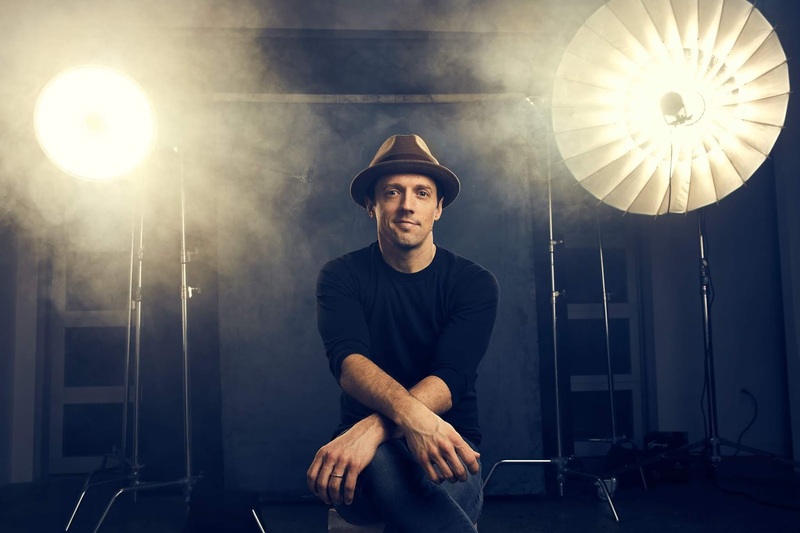 I feel a sense of gratitude and enthusiasm unlike anywhere else in the world, which makes a performance feel more like an event than a recital. The audience participation in Asia is harmonic and supersonic. 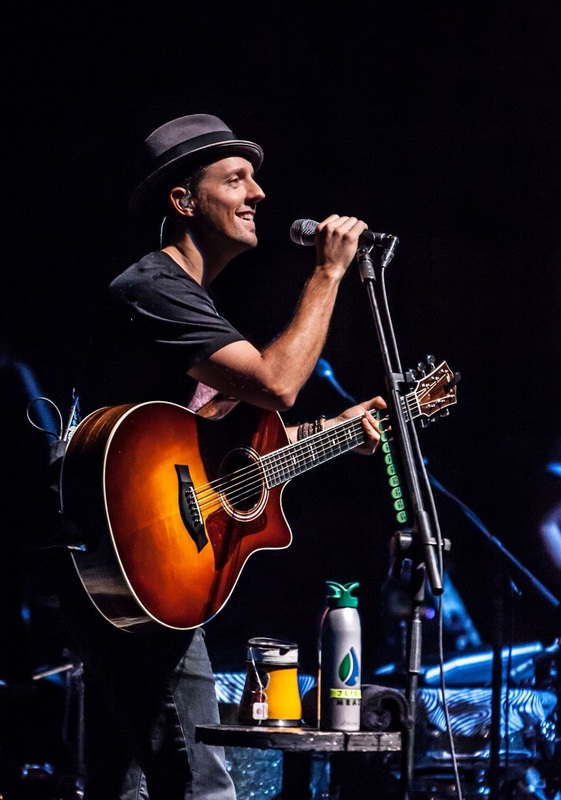 I am thrilled to return, reconnect and re-experience the joy. 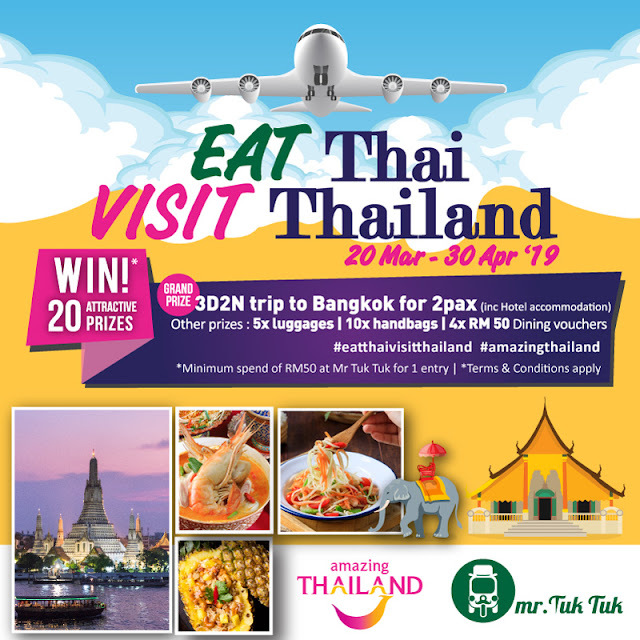 Eat Thai, Visit Thailand 2019 with the Tourism Authority of Thailand (TAT) and Mr Tuk Tuk Malaysia. 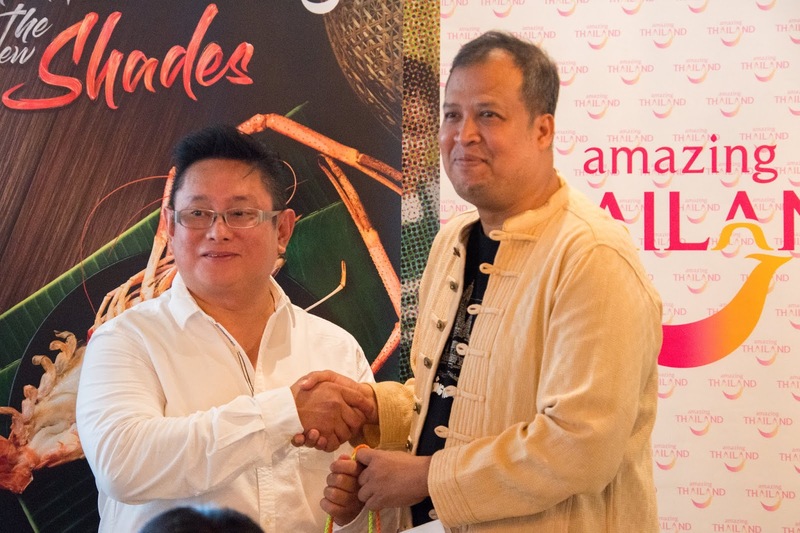 This latest campaign marking a collaboration between tourism and restaurants in Malaysia started on March 20 and will end on April 30. 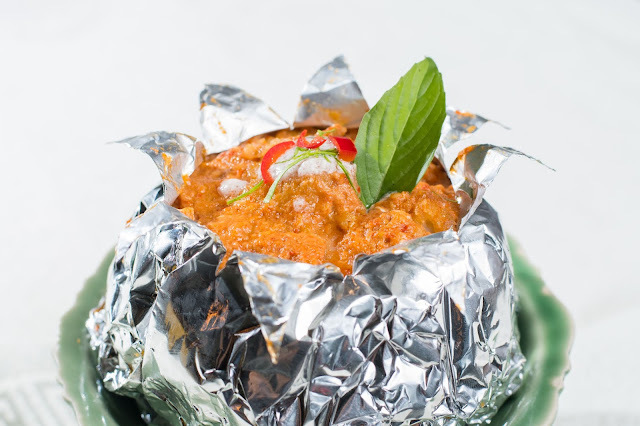 I have always been a fan of Mr Tuk Tuk with their authentic and affordable Thai dishes which are also Halal certified. 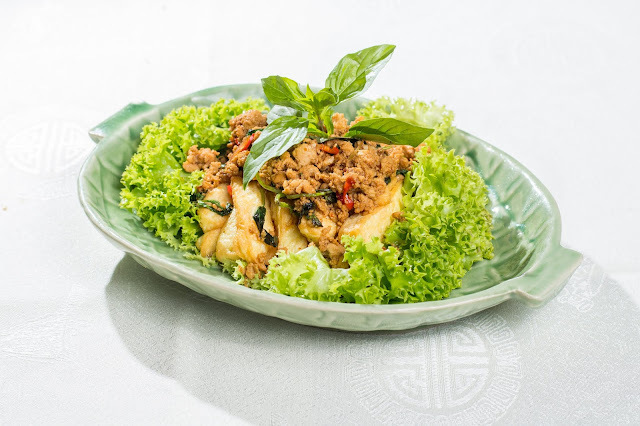 During this campaign, diners who spend more than RM50 per receipt at any of the eight Mr Tuk Tuk outlets will stand a chance to win one of the 20 prizes which includes a FREE trip to Bangkok for two persons plus a 3 days 2 nights hotel stay, five luggage, ten handbags and four Mr. Tuk Tuk dining vouchers. 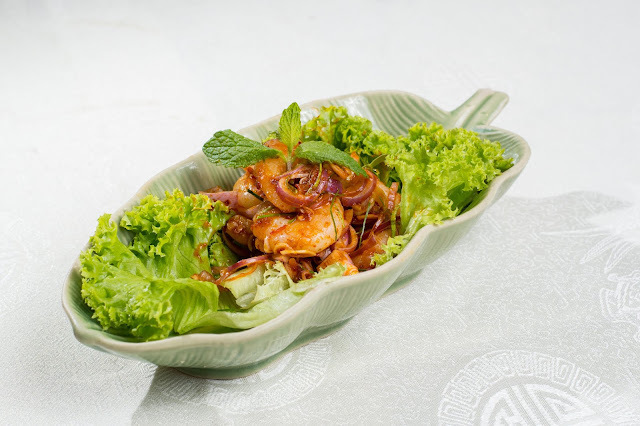 For this campaign, Mr Tuk Tuk has also launch 5 new dishes and a new drink which is does not fail to please your palates too. 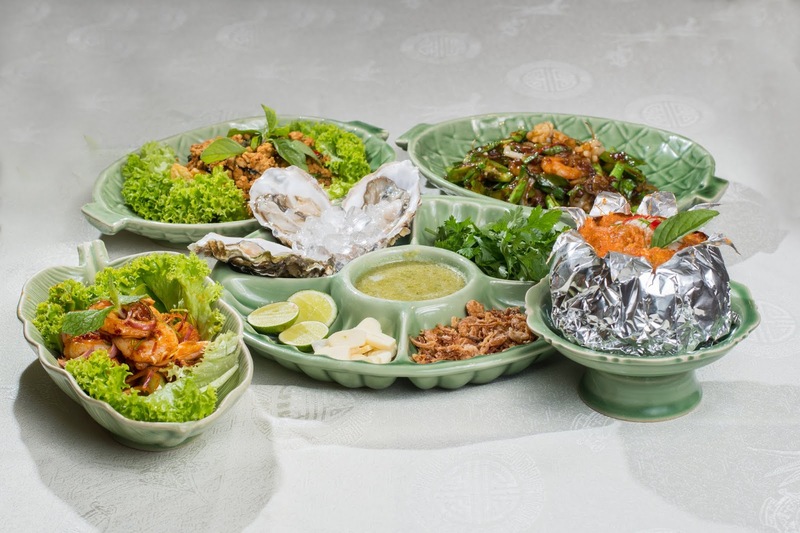 Hurry go try their new dishes and win yourself a trip to Bangkok too! 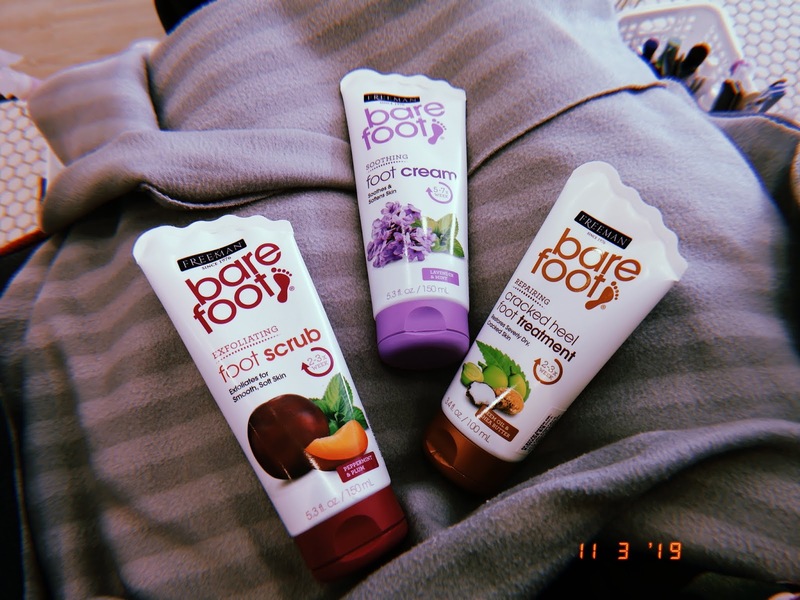 I've always believed about Beauty from the Inside Out and what better way to pamper yourself than a nice foot spa session at home? Nature's Bounty and Freeman Bare Foot now encourages everyone to give themselves a beauty pampering time from the comfort of your home. Recently, I received a Beauty Package which includes Nature’s Bounty Hair, Skin & Nails Gummies and Freeman Bare Foot Scrub & Foot Lotion. 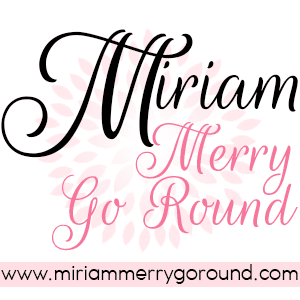 I have been using these products for the past month so here's what I think about them. Let's start with taking care of our inner beauty. Nature's Bounty is not foreign name as I have covered their launch a few months back. 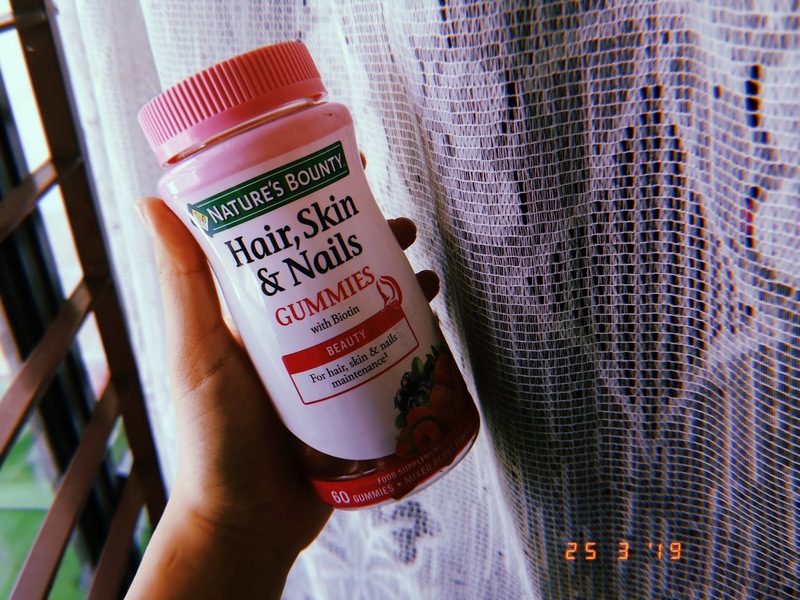 The Nature’s Bounty Hair, Skin & Nails Gummies in mixed berry flavor contains the necessary vitamins and minerals such as Zinc, Vitamin C and E, Biotin, Collagen etc to promote healthy hair, skin and nails. These remind me of my childhood gummies and it taste like them too. They taste sweet from the mixed berries and definitely one of the more appealing supplements. So far after nearly one month of consuming them (I try to take them on a daily basis), I do notice my nails are not as brittle as they seem which is a good thing. 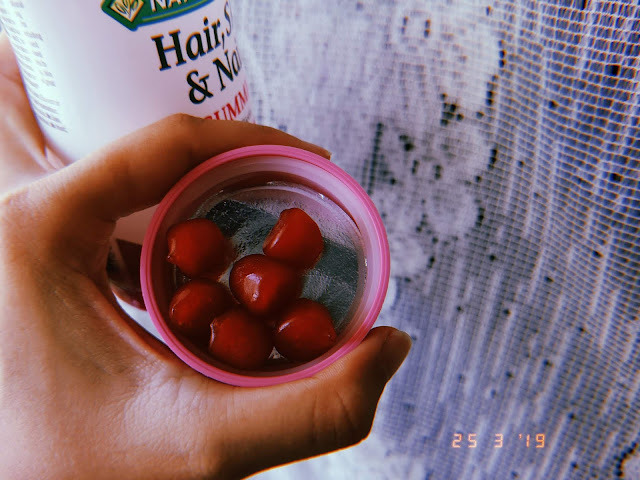 The only downside would be I find the gummies a tad too sweet for my liking though I am giving them the benefit of the doubt that it's 100% fruit extract. Next up, we have some products from Freeman Beauty. A short introduction of the brand, Freeband Beauty was founded back in 1976 and they aim to product Nature Inspired, Vibrant, Fun & Quality beauty products. In the last few months, they launched their Bare Foot range in Watsons Malaysia which is their line of ultimate pampering home spa routine for perfectly prepped feet. I don't know about you but I have to admit I do not pamper my feet enough. 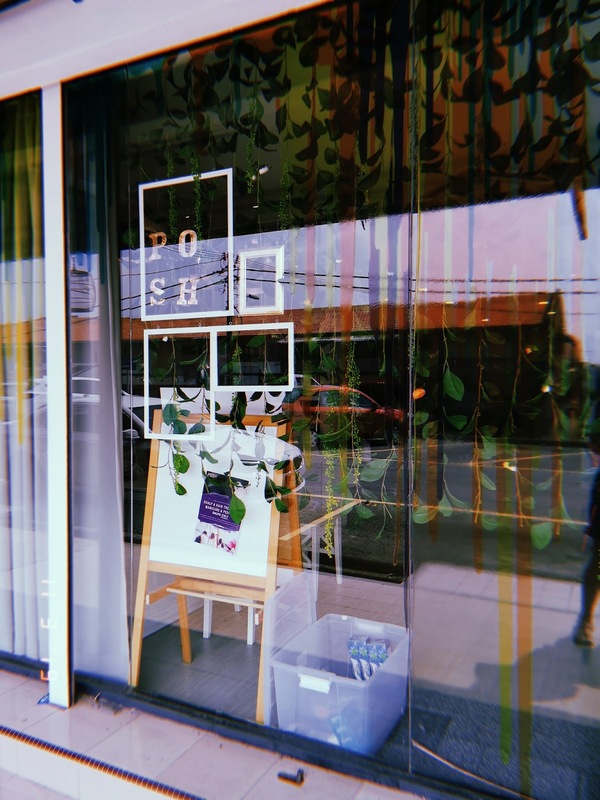 One reason is it can be a bit pricey for regular pedicure sessions and another reason would be not everyone has the time to go for a pedicure. 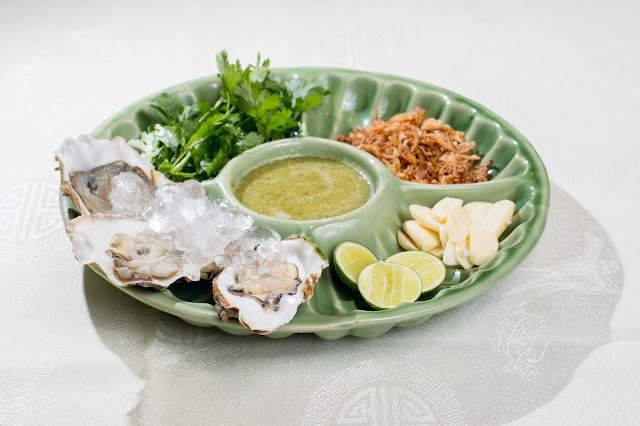 Hence, Freeman Beauty Bare Foot ranges aims to provide a foot spa pampering session in the comfort of your home. 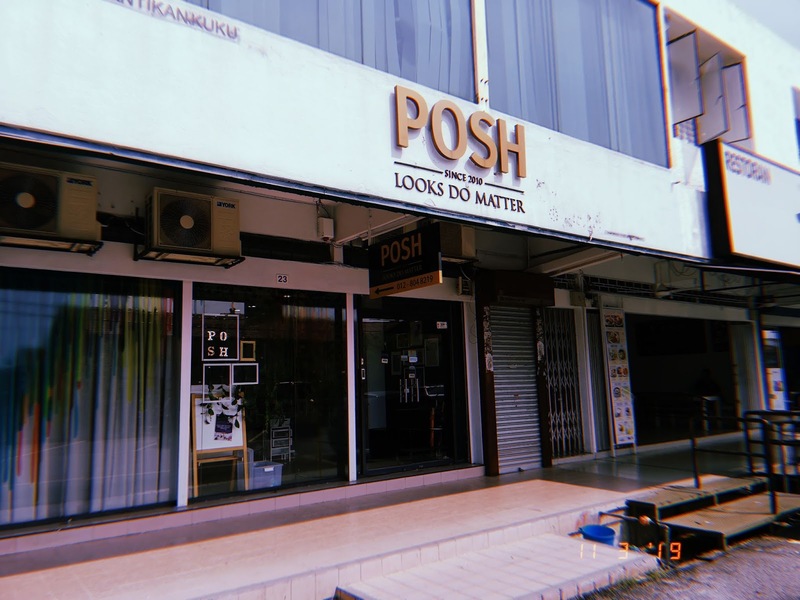 They have collaborated with Posh Spa where you are able to try out the Freeman Bare Foot products with a complimentary Foot Spa session. I made an appointment and gave my feet some love that they deserve. Infused with fragrances like Peppermint & Plum, Lime & Coconut, Marula Oil & Cocoa Butter in their products, they are formulated to help cracked or dry feet and give you back baby soft feet. So here's how you can enjoy your own DIY Foot Spa session at home with Freeman Bare Foot range. Firstly, start with the Freeman Bare Foot Scrub (Peppermint & Plum). This helps to exfoliate calluses and rough heels while soothing and relaxing tired feet. 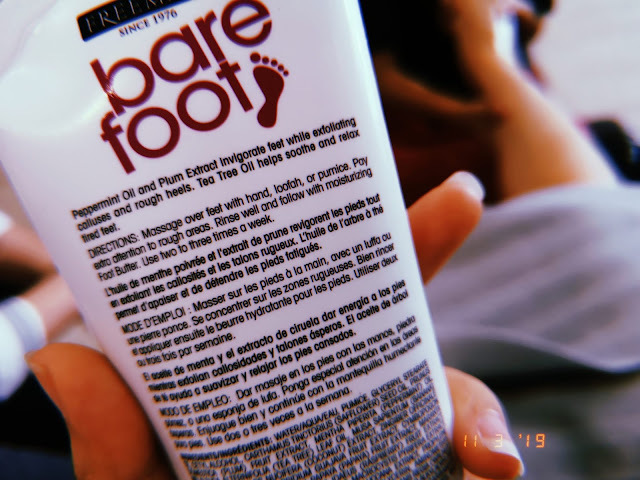 After exfoliating, it's time to moisturize and hydrate your feet with the Freeman Bare Foot Soothing Foot Cream. This lavender and mint infused cream moisturizes legs and feet while softening dry skin on rough heels. If you have crack heels and need additional treatment, you can opt to get the Freeman Bare Foot Cracked Heel Foot Treatment. With neem oil, Shea butter and rosemary oil, it helps to replenish hydration and soften your skin. Overall, the Freeman Bare Foot range enables us busy workers to still enjoy a pampering session in the comfort of our home. Of course, if you're looking for someone to pamper you, head over to Posh Nails Spa and use their Freeman products. 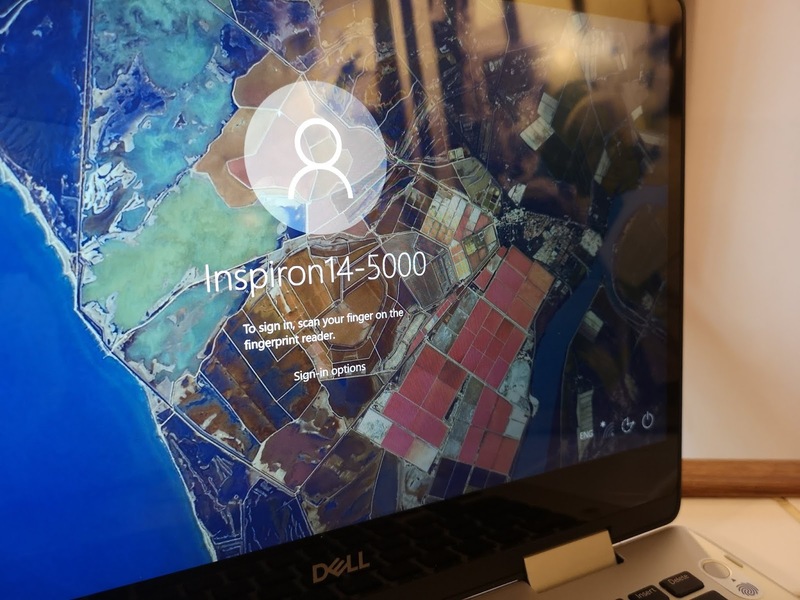 The end of last year, I was fortunate to receive the Dell Inspiron 14 2-in-1 to review. Having reviewed several Dell laptops in the past, my impression of the 2-in-1 laptops from Dell have been impressive. With the new upgraded features plus the Dell Active Pen, this time let's see how my experience has been with the Inspiron 14 2-in-1. 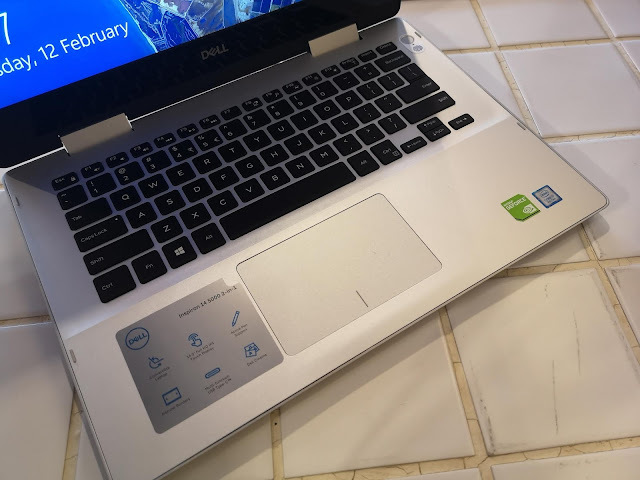 From first impression, it was definitely bulkier than the XPS series which until today still holds strong as one of the convertible laptops I recommend. The build of the laptop was pretty solid with clear and wide 14-inch screen which was built with four flexible modes. 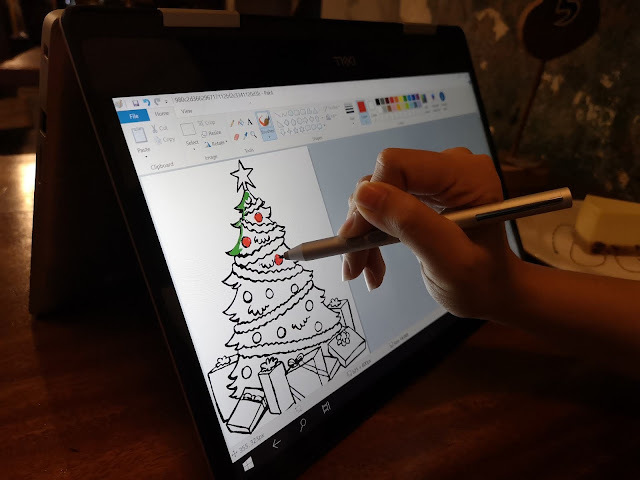 You can use it as a laptop for typing, tablet for drawing or even writing with the included Silver Dell Active Pen, plus tent/media modes when you Netflix and chill. Let's go into their design first with the narrow border, it gives an added screen space when watching movies plus the Full HD IPS Touch Display allows you to see your screen from a wide range of angles without compromising on the image quality. This can serve as a pro or con when you're in public and you don't want your screen to be exposed. The 2-in-1 has a good palm rest area, sufficient and comfortable when you're typing for a long period of time. Comes in platinum silver or urban grey, the overall design is sleek and fits in any environment. It also comes with a fingerprint reader at the power button which I've been getting used to. 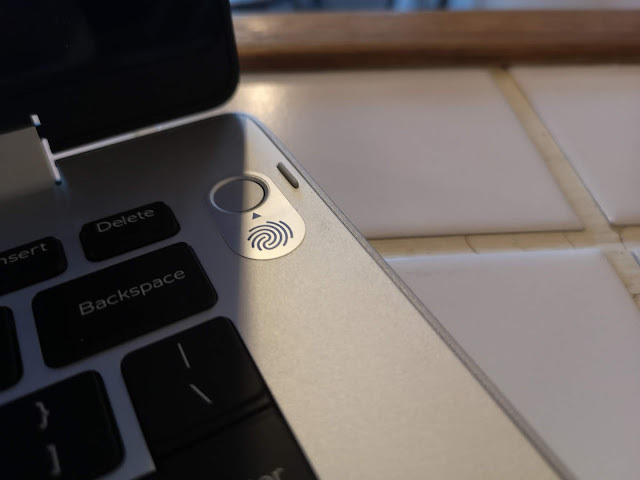 No longer typing passwords when you can access the laptop with your fingerprint. The Inspiron 14 2-in-1 is powered with 8th Gen Intel® Quad Core™ processors and up to 16GB DDR4 memory, you have ample power and storage for all your entertainment, projects and more. 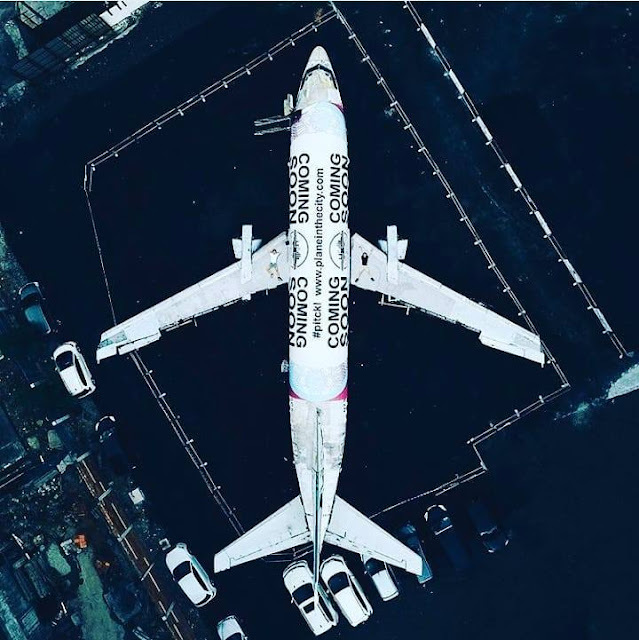 Plus, with the optional NVIDIA® technology, you can upgrade your graphics to take gaming and entertainment to the next level. Plus with storage options up to 1TB, 512GB SSD the Inspiron 14 5000 2-in-1 has sufficient storage to ensure smooth and speedy processors especially when you're using heavy software AI/PSD etc. 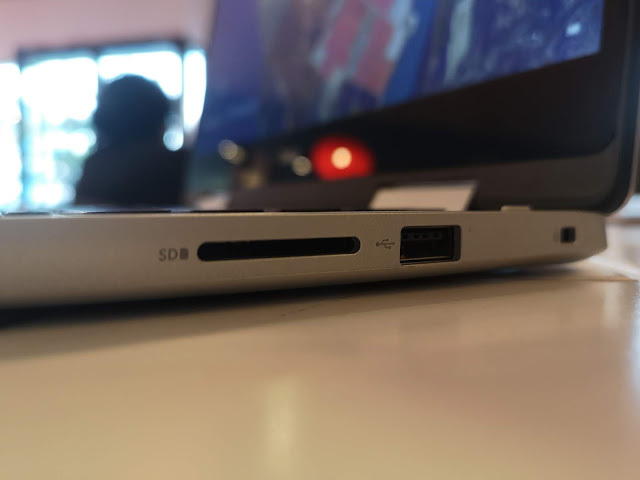 Another plus point to the Inspiron 14 5000 2-in-1 is the The USB Type-C™ port enables single-cable docking, meaning you can plug into a variety of multifunctional configurations with one, easy connection. Plug in multiple monitors, a keyboard, mouse and printer into a compatible dock for an easy home office setup, or unplug in a heartbeat to take your 2-in-1 on the go. 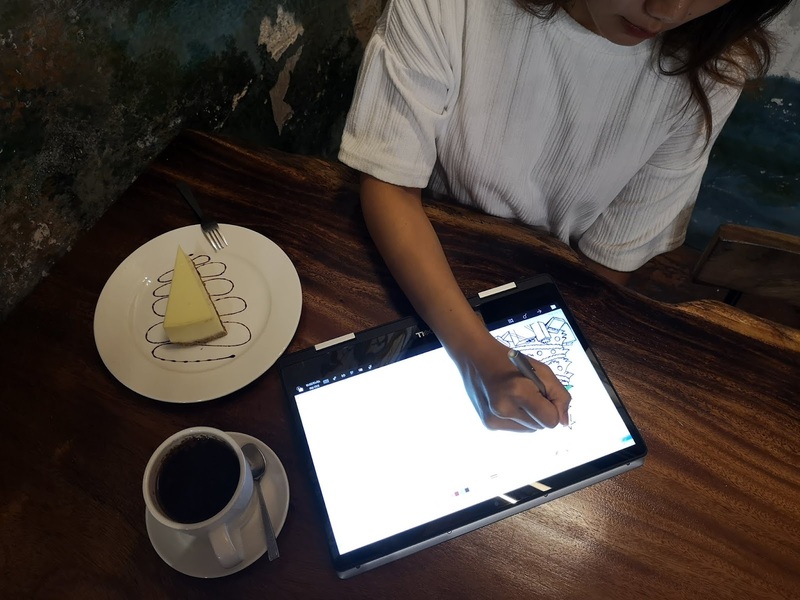 Having the Active Dell Pen this round did make the review enjoyable as it gave me much more flexibility in terms of design and content creation. The pen is pretty sensitive and accurate when used on the Inspiron 14 2-in-1 and if you're someone who is used to using a digital pen, the Dell Active Pen is a good option to consider. Now for the parts I did not quite enjoy with the Inspiron 14 5000 2-in-1. Although sleek, I find it quite heavy and not as convenient for me to bring out for my daily usage. 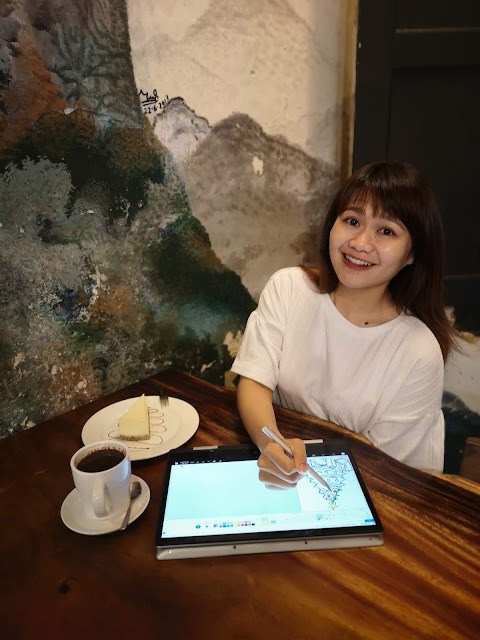 Compared to the XPS 13, the weight was quite substantial and if you're looking for a portable laptop especially girls, you might want to check out the lighter options from Dell. Also, battery life was rather short as I find myself running out of juice quite frequently. Note: If you're like me and don't always shut down your laptop, please make sure you keep it in Hibernate mode and not Sleep mode because the battery still runs dry during Sleep mode. 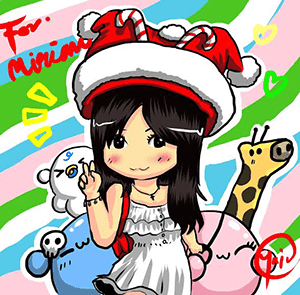 Lastly, this is one major factor for me which is the temperature. 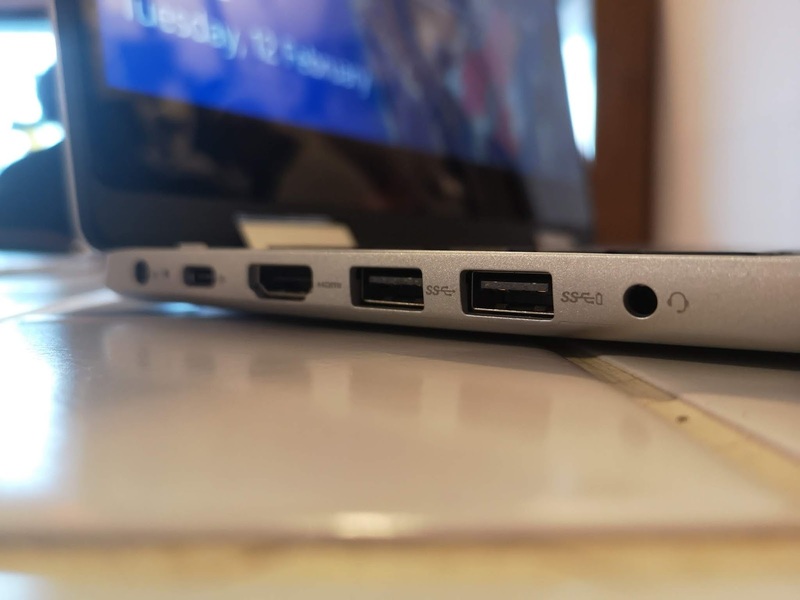 Personally I find that the Inspiron 14 5000 2-in-1 heats up pretty fast and you won't find it comfortable to use on your lap. Although yes, I know it's not advisable to use it on your lap but for a convertible laptop it does matter when I'm using it as a tablet or just to chill in bed.